I’ve never played with (drawn any) of the Harry Potter characters. 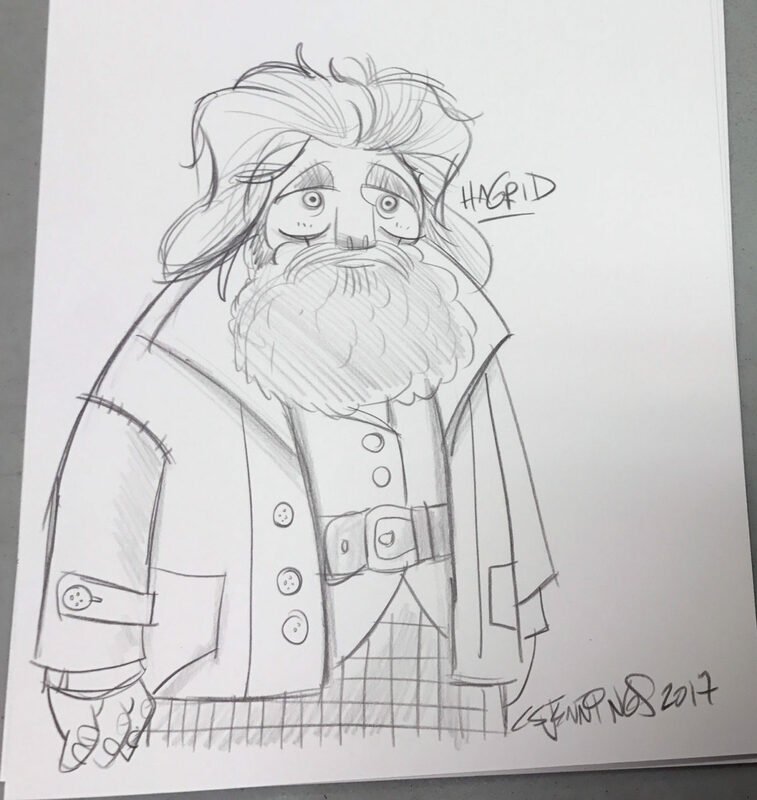 At an all-ages event this weekend at the comic shop Rogues Gallery in Round Rock, Texas I was asked to sketch the Harry Potter character of my choice. It had to be Hagrid. So happy 20th anniversary, Harry Potter! Thank you, J.K. Rowling, for giving us all a reason to read, laugh, and dream. iPhone camera, low light. So he’s a little fuzzy.